- You’re private. Complete privacy – do what you want to do. Nobody but you have access. - You’re safe. Activities are encrypted so you can use public wi-fi wherever you go: coffee shops, hotels, airplanes and more. - You’re ready. “Auto Protect” option means you can set it and forget it. - You’re connected. Nearly 40 global locations allow you to enjoy content from around the world. - Try it free with 1GB of data limit per month. - Purchase an annual subscription for $59.88– just $4.99/month. - Subscribe monthly for less than a latte and bagel – just $7.99/month. - Enjoy a 7 day free trial on both monthly and annual subscriptions. You can cancel your subscription during this 7 day trial period and your account will never be billed. Payment is charged in your iTunes account after payment confirmation. Subscription will automatically renew unless canceled at least 24 hours prior to the end of the subscription period. Auto-renewal can be turned off in your iTunes account settings after purchase. Account will be charged for renewal within 24-hours prior to the end of the current period, and identify the cost of the renewal. Any unused portion of a free trial period, if offered, will be forfeited when the user purchases a subscription. WATCH FOOTBALL IN PARIS! OR SOCCER IN TEXAS! See what others can’t. InvinciBull offers consumers access to global content no matter where they are in the world. 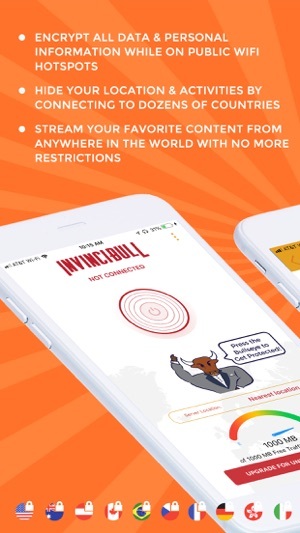 With the Unlimited plan, change your location in InvinciBull and get access to the content you want (e.g. watch American Netflix in London). Feel free to safely stream content from anywhere knowing your privacy and personal data are safe. 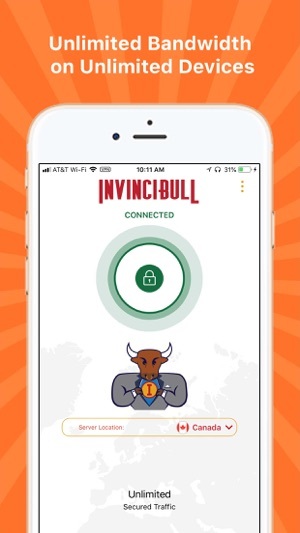 InvinciBull VPN is owned by cybersecurity leader, Finjan Holdings, a 20-year veteran in cybersecurity with enterprise-grade patented technologies that protect business users around the world. I am in the USA and wanted to view a program from the UK. After installing, it asked me to choose a country, so I chose the UK. 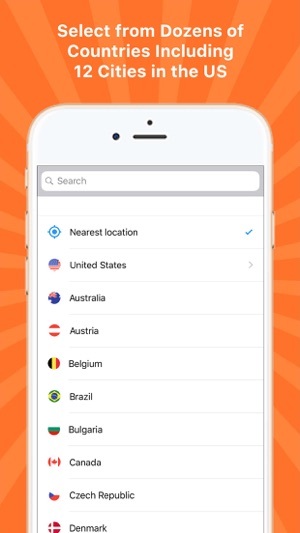 Unless you want to pay for the premium subscription, you can’t choose another country and it will connect you to “the closest server” (in your own country). I thought that was the whole purpose of the app? Doesn’t do what it advertises unless you pay (and possibly not then, either, I don’t intend to find out). We appreciate your feedback. We have updated the description based on comments like yours. The Starter (free) plan allows a local connection and 1GB of data usage per month. The Unlimited ($4.99/$7.99) plan provides global connection options and unlimited data usage. We'd like to offer you a free month of service, please contact us at support@invincibull.io. For those who complain about parts of this app; stream locations and unlimited streaming, here is what to expect. 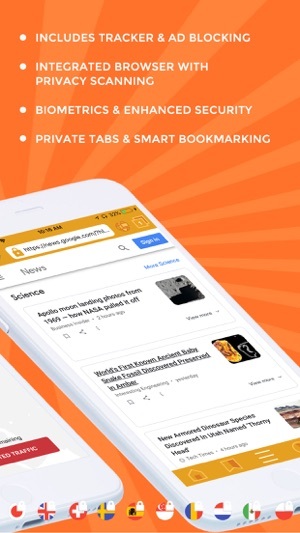 The Basic VPN Plan is free which allows users to connect to the nearest location and use of up to 1GB of VPN data per month. Works great! Would’ve given 5 stars except for one thing, it disconnects all the time. I have it on auto but, still I have to constantly check to keep me protected. Fix that and, this VPN will be one of the best out there. First, I apologize for the delay in responding to your comment. Second, thank you for the kind review and for highlighting an issue you have experienced. If InvinciBull is still disconnecting for you, then please contact us at support@invincibull.io so we can help resolve it. © 2018 Finjan Mobile Inc.